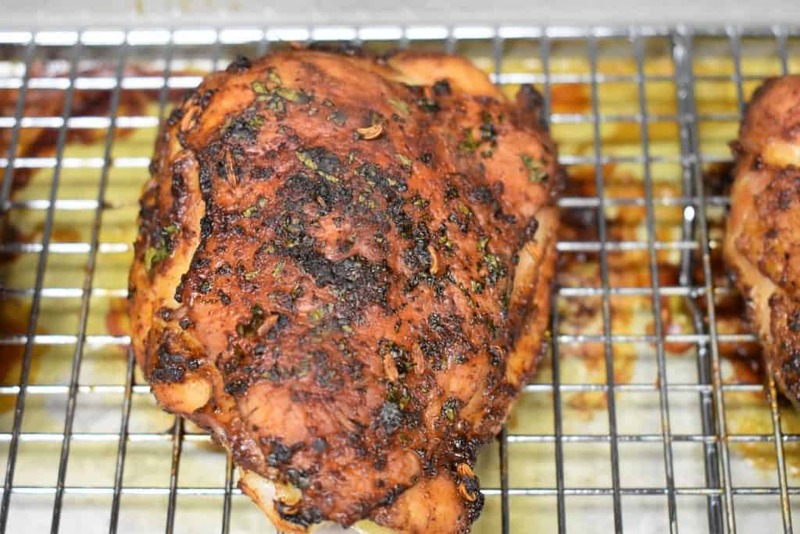 In this recipe we use bone-in, skin-on chicken thighs and drums, which are super affordable. Plus the legs and thighs can be cooked for a long time and they stay juicy and flavorful. 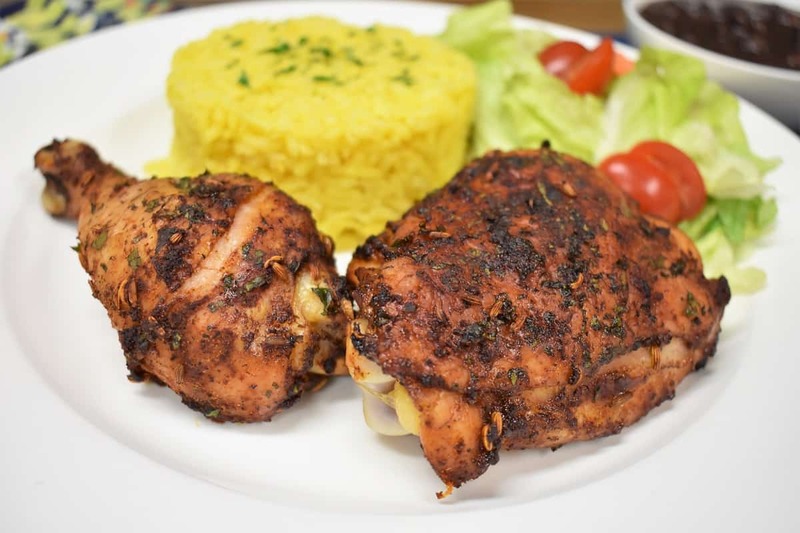 The chicken is seasoned with 3 ingredients: blackened seasoning, soy sauce and chopped parsley. That’s it! The blackened seasoning and soy sauce are combined to make a thick paste that adds amazing flavor. Blackened seasoning (or blackening seasoning) is pretty common. You should have no trouble finding it in the spice aisle of most large grocery stores. 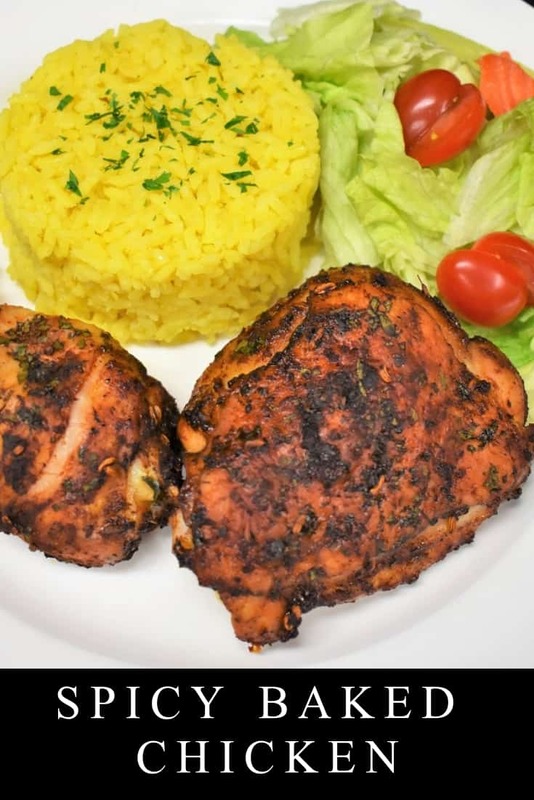 The ingredients for blackened seasoning usually include paprika, salt, garlic and onion powder, cayenne pepper and other herbs and spices. The exact ingredients vary, depending on the brand. For example, the brand we use for this recipe includes fennel seeds, which isn’t common, but we really like it. Check the ingredients in the blackened seasoning for salt. If it contains salt, don’t add extra. It’s the first ingredient in the mix we use and it was seasoned plenty. For more delicious recipes using blackened seasoning try this blackened shrimp and creamy pasta, or these blackened shrimp tacos. Remove any excess fat from the chicken. Chicken thighs especially are sold with a good amount of fat attached. The best way to trim the fat is with kitchen shears. Just cut it right off! Prepare the seasoning mix by combining the blackened seasoning and the soy sauce in a small bowl. Stir well to combine. You should end up with a nice thick paste. Remove the stems from the parsley, leaving only the leaves, and chop it fine. Ok, this part isn’t pretty. You need to rub the chicken with the blackened seasoning paste. The best (only) way to do this is with your hands. Grab a bit of paste and a piece of chicken and rub it all over. Place it back on the pan and repeat with all the pieces. My husband asked if I wanted a picture of this step and I said “No, thank you!” I’ll describe the process. It’s messy, no doubt, but totally worth it! Arrange the chicken, skin side up, on a pan, casserole dish, or large serving platter. The chicken in going in the refrigerator for a while so choose something that will fit comfortably. Sprinkle the chopped parsley over the top of the chicken. Cover the pan with plastic wrap and refrigerate for at least 60-90 minutes. Here’s what it looks like after the rub down. Remove the chicken from the refrigerator to get the chill out while the oven preheats. Preheat the oven 350° F. Place the cooling rack in the baking sheet and spray it lightly with cooking spray. Arrange the chicken, skin side up on the rack allowing some space between the pieces. 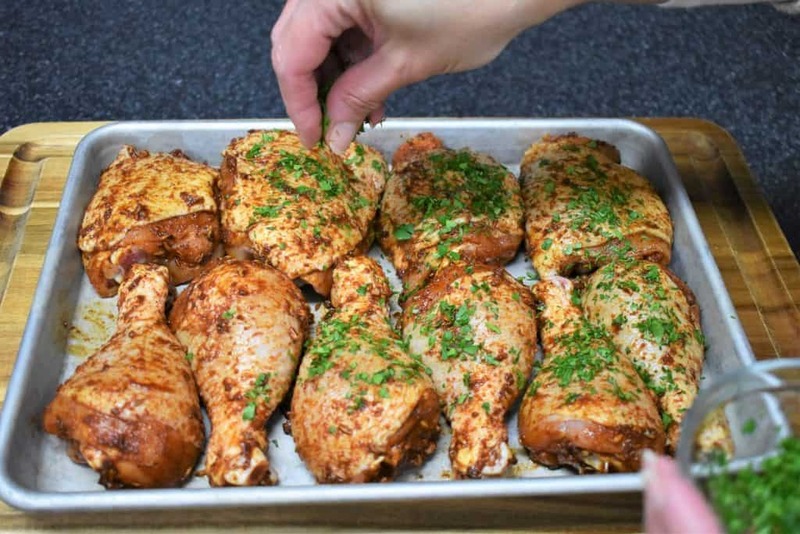 The cooling rack allows air to flow around the chicken while baking. It also keeps it elevated so it’s not sitting in the drippings. 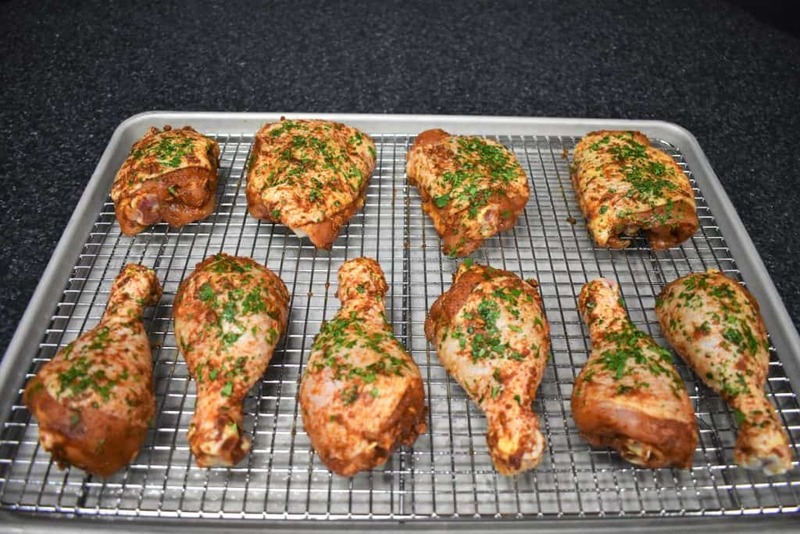 Bake the chicken for 60 – 65 minutes or until internal temperature is at least 165° F. It should be a lot higher at this point, but don’t take any chances. Use an instant read thermometer and take the internal temperature of a few of the larger pieces. Make sure the thermometer is in the middle of the thickest part and not touching the bone. This baked spicy chicken is ready. The skin is crispy and full of flavor. This inside is juicy and delicious! 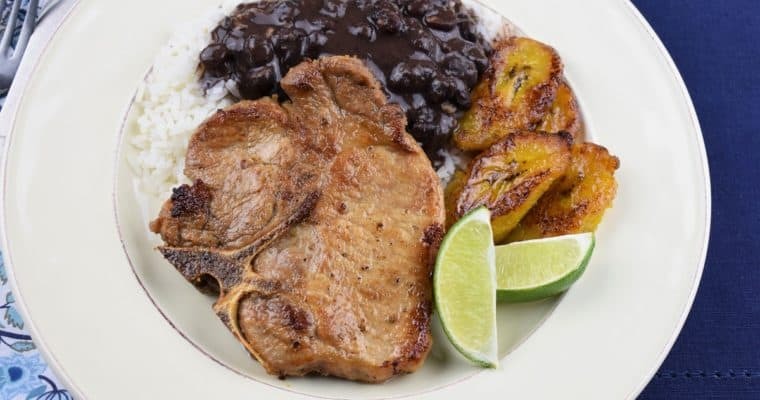 Here we serve the chicken with a simple side salad, yellow rice and black beans. 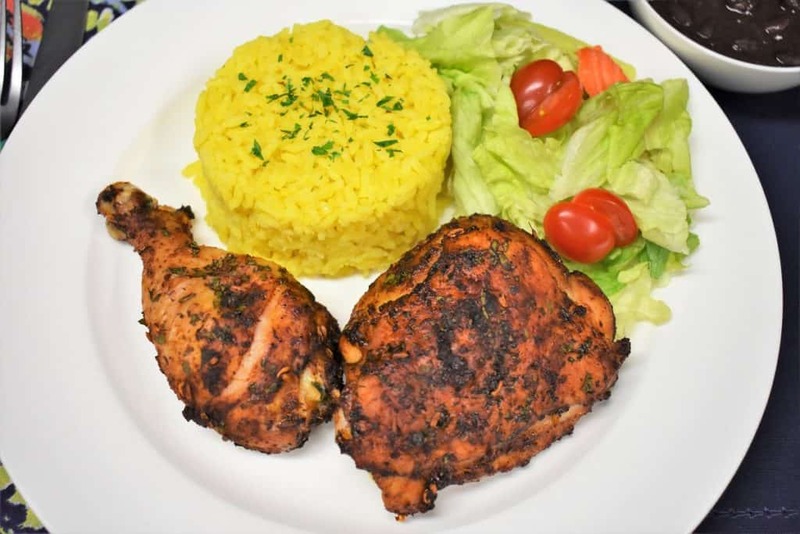 Our homemade yellow rice is flavored with chicken base, turmeric and dehydrated onions. This yellow rice is really easy to make, and so much better than store-bought. 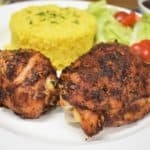 If you want to try more delicious chicken recipes try this chicken fricassee, this pollo en salsa, or these amazing fried chicken thighs. 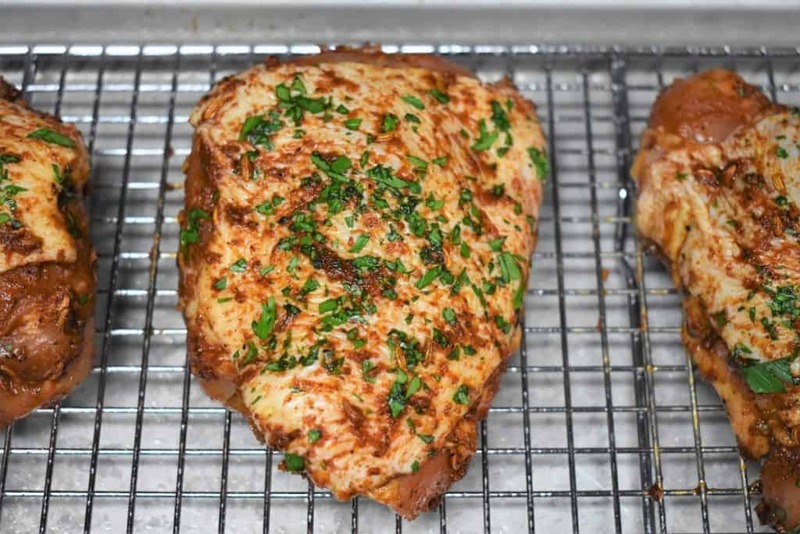 This spicy baked chicken is an easy recipe with only 4 ingredients. 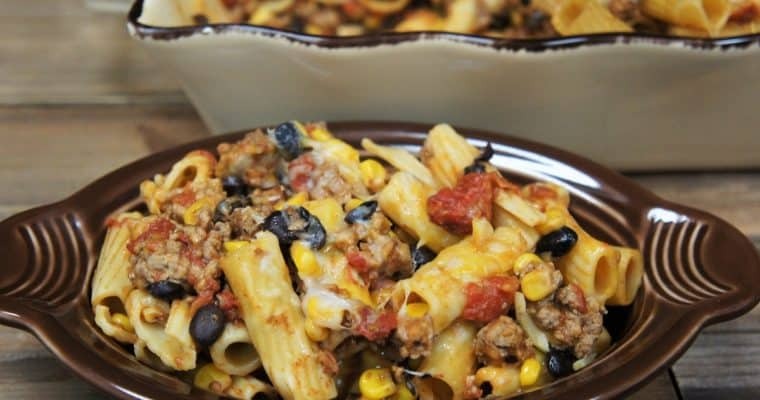 This chicken dinner is budget friendly and no-fuss too! Remove any excess fat from the chicken. The best way to trim the fat is with kitchen shears. Just cut it right off! Prepare the seasoning mix: combine the blackened seasoning and the soy sauce in a small bowl. Stir well to combine. Rub the chicken with the blackened seasoning paste. The best (only) way to do this is with your hands. Grab a bit of paste and a piece of chicken and rub it all over. Place it back on the pan and repeat with all the pieces. Arrange the chicken on a pan, casserole dish, or large serving platter. Sprinkle the chopped parsley over the top of the chicken. Cover the pan with plastic wrap and refrigerate for at least 60-90 minutes. Place the cooling rack in the baking sheet and spray it lightly with cooking spray. 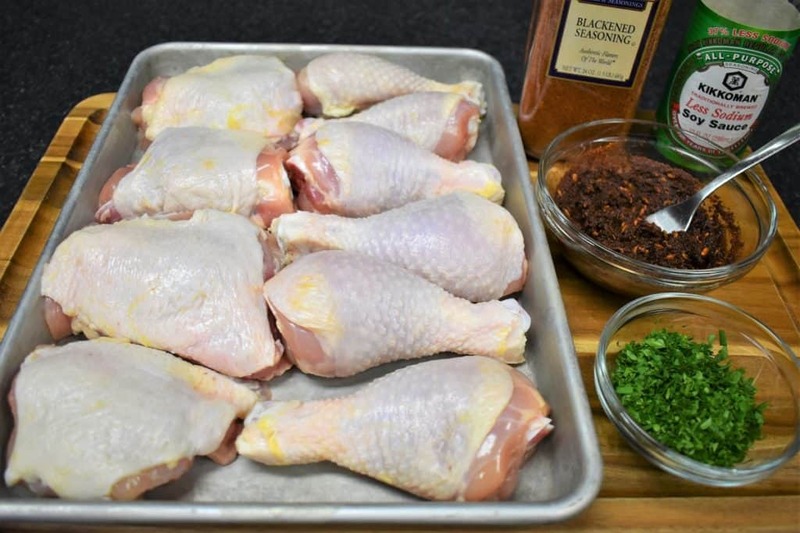 Bake the chicken for 60 – 65 minutes or until internal temperature is at least 165° F.
Use an instant read thermometer and take the internal temperature of a few of the larger pieces. Make sure the thermometer is in the middle of the thickest part and not touching the bone.